Using a standing mixer, beat together the butter and sugar until light and fluffy. Add in the egg, strawberry extract, champagne extract, and vanilla extract. Mix ingredients until thoroughly combined. Gradually mix in the dry ingredients into the wet until combined. 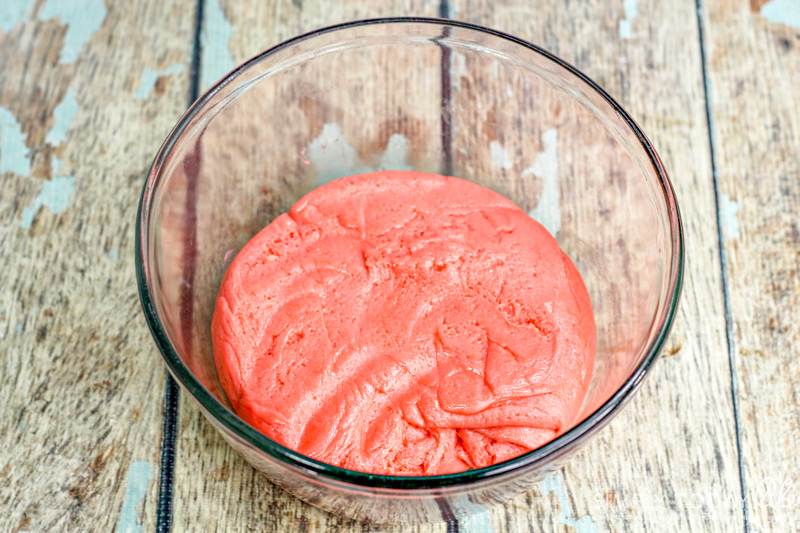 Mix in a few drops of pink food dye until combined. Once the hour is up, preheat the oven to 350 degrees. 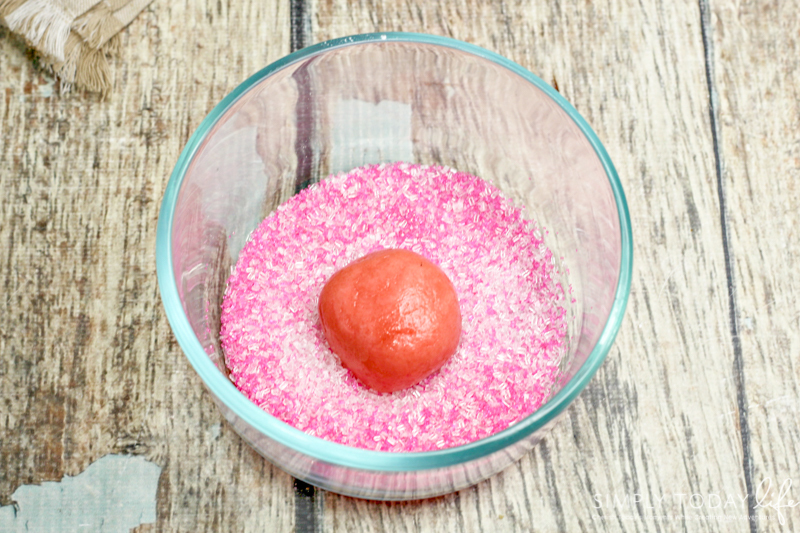 Using the cookie scooper, scoop out some dough and roll into the pink sprinkles. Place onto the cookie sheet and bake in the preheated oven for 10-12 minutes. Allow cooling completely before enjoying. I love how pretty and delicious these Valentine’s Day cookies came out. The color alone is exactly what I wanted and the sprinkles on the cookies make them that much prettier. 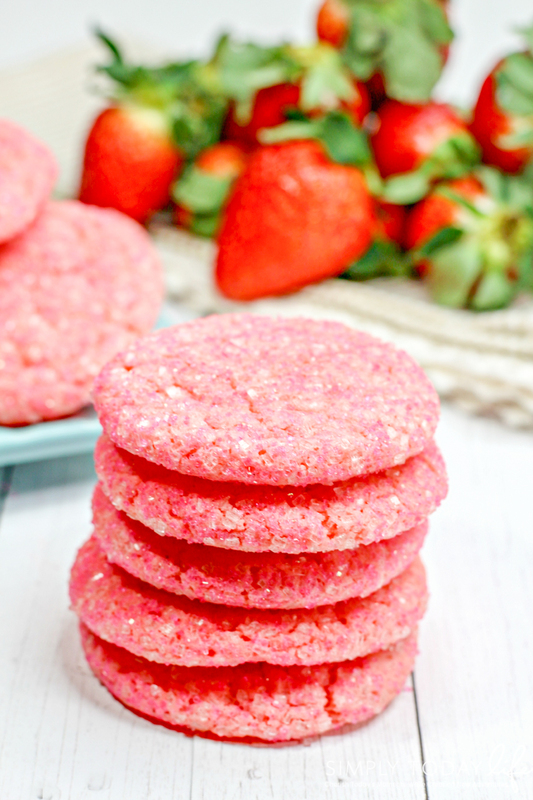 These Valentine’s Day sugar cookies will not only look good with all of your pink and red decorations, but they will taste delicious too. What is your favorite Valentine’s Day cookie? Wow! Those look and sound so delicious! I would like to try these! These sound and look so amazing. I am definitely going to have to give them a try and see if my family likes them.